Last week I did a live webinar about WordPress and how to make your website work a little better. During that hour, I made a few mistakes so let’s look at those and see what I did wrong. First of all, I was not prepared enough. Quite often, we are not prepared. I thought I was. I had videos with instructions, links to other things with information for my webinar, but something went wrong at the end. I was running the webinar through Leadpages and did the webinar on Google Hangouts, which means it was free and didn’t cost me anything. I was following the instructions, and thought everything was hunky dory. With an hour to go, I thought I would run a test and make sure everything was working well. When I run the test, it came up and said “Welcome to the New Google Hangouts”, which means it looked nothing like the instructions. Then the instructions had one single part missing. He had missed one tiny little thing, that was one of the most important things ever — it was about the embed code. I had to Skype someone in San Diego to get her help in getting it set up. Had I been a bit more prepared, I would have known all this. I just assumed it was the same old version. So don’t assume, because that messes you up big time. Because of just finding all this out at the last minute, I wasn’t able to figure out how to work it and it wasn’t doing exactly what I wanted it to do. And — there’s a 40 second delay, so I am watching it on an Ipad, and I am doing the webinar and watching what the attendees are saying. To me, it looked like they couldn’t hear me, but later I found out that they could. And another problem. Because of the lateness, I was not logged into the chat roll so I was not able to chat with the other attendees. Luckily, I had asked two or three friends to hang out in the chat and make sure to answer any questions that the attendees had and this worked out great — so I did something right! Another issue because of all of what was going on, I forgot to change the screen mode, and found out a bit later that no one could see my screen. I had to go back and do that all over again. 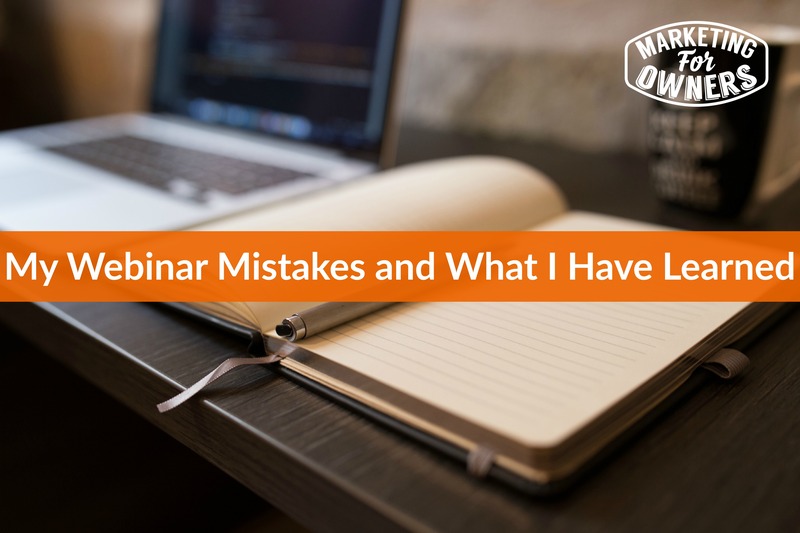 After the webinar, I spoke to a handful of people who don’t really know what I do to find out how it looked from their point of view. One lady, who is a teacher, pointed out right off the bat that I did not give an introduction to what I would be teaching. Now, I just assumed that the title and the description would be enough for everyone, but no. I should have expanded and gave a quick run down of the 6 tips I would be covering in the webinar. I purposefully did not spend any time talking about myself, but I found out that many people would have really liked to know who I was and my back story. At the end of each tip, I should have then summarized what I had just taught, so that people would know that I was done with that tip. At the end of this webinar, I was actually launching a product. Now, this is very very important if you are going to do a webinar and launch a product, make sure it could stand alone. I gave a special offer and even though it makes perfect sense to me, I realize that I might not have been as thorough explaining it to my attendees as I should have. This webinar could have been better. I did not want it to sound like a sales pitch, but what I did share did not sound informative enough. How can I apply these to the next webinar? I will be updating and it will improve. I will also get feedback each time I hold one and then I will also be discussing these topics on Periscope as well. Today is Tuesday and it is time for a toolbox tip! Today, I am sharing one with you from our free report. 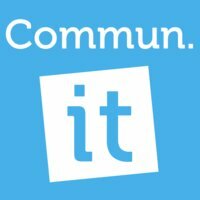 Today is called Commun.it. It is a social media tool for twitter. If you have a lot of Twitter followers, it will show you who your important followers and engaged followers. Shows you who is important and who is worth talking to. Go see what it does. It’s free, so you can’t go wrong.